Need A Helping Hand or Advice? 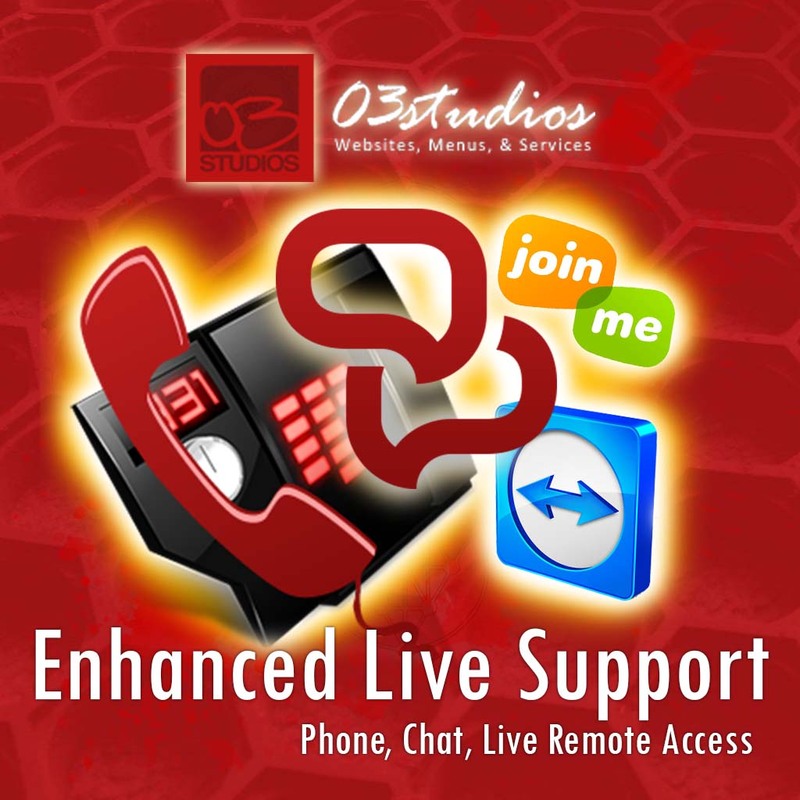 Here at 03studios we mainly provide support through e-mail or chat. We do however provide an option whereby customers can request a phone call back from our technical support team. Callbacks are not included with our standard hosting package by default. You can, however, add three callbacks per month to your account for a nominal monthly fee. Callbacks must be requested through your website Backend Panel. Just log in to your account and click through to the Contact Support button. If you would like to add Enhanced Live Support to your account, just check the “Phone Callback / Live Chat” Button in your websites Backend Panel (as seen on the right) near the end of the submission process, fill out the additional information and submit your message. If you don’t actually need a callback at the time of submission, just say so in the ticket before you submit. By requesting our Premium Phone Support feature you agree to the $9.95 per month charge for this service which provides for up to 3 callbacks per month and unlimited use of our Live Chat support service. You can cancel this service when you no longer need it through the backend Panel section in the your Website (domain.com/backend) please contact us for your login if needed. If it is not canceled it will auto-renew each month.